Hi, I am writing in regards to the property at 1612 Chelsea Ct, Kingsport, TN 37663. Please send me more information or contact me about this listing. This listing is NOT a foreclosure. Quick Move in Home in the Award Winning John Adams School District located in the Polo Fields Community which provides a peaceful and convenient city location. This home is the practical solution for the growing family it features 4 bedrooms and 2 bathrooms. The enormous owner's bedroom provides enough space for a sitting area, tv space or office. The ensuite bathroom features a beautiful tile shower, a built in makeup vanity, and a large closet with custom white shelving. There are an additional three bedrooms, all with large closets. The kitchen comes equipped with stainless steel appliances, white shaker cabinets and granite counter tops. Your family will enjoy the open space of the kitchen and living room which also features a gas fireplace. There is also a basement for storage or your future expansion needs.This MLS Resale home is a single family home located in Kingsport. It offers in size, 4 beds and 2.5 baths. 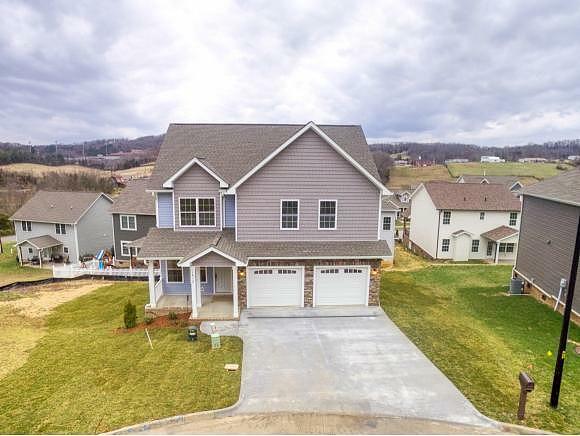 Review its detailed information and determine if this Kingsport MLS Resale has the qualities you are looking for.